350 acres of beachfront land for sale in Jamaica by Orange Bay, Hanover just 5 miles from Negril on the island’s west coast. This parcel of land for sale in Jamaica is situated by Orange Bay, Hanover on the west coast of Jamaica. Located just 5 miles from Negril and 45 minutes from Montego Bay, the property rises from a beautiful white sand beach through lush tropical jungles filled with all kinds of trees up to mountaintops as high as 550 feet boasting stunning views of the Caribbean Sea and the coastline all the way to Negril. 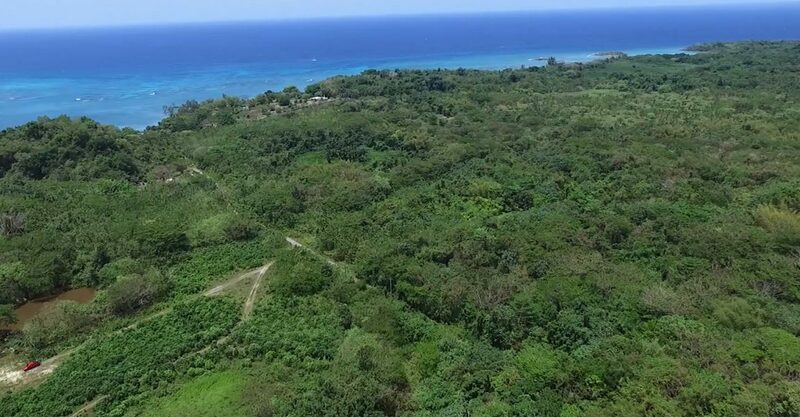 This parcel of land for sale in Jamaica would be ideal for residential or commercial development, a hotel or agricultural use to utilize the parcel for farm land. This parcel of land could be purchased together with an adjacent beachfront hotel which would provide huge potential for development.